"How do blind and deaf work?" "See 4 mins of blind person signing cheque, manager giving feedback to deaf employee and other workplace solutions. " How do blind and deaf work? 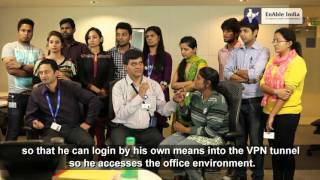 See 4 mins of blind person signing cheque, manager giving feedback to deaf employee and other workplace solutions. 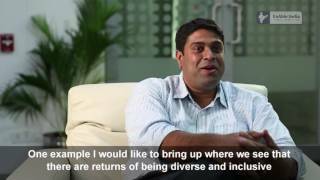 "Thomson Reuters: Using diversity as a business tool"
"Making inclusion of PWD a core business strategy, beyond corporate social responsibility"
"See Dhanesh managing money, taking inventory, serving customers in this 11 min video." 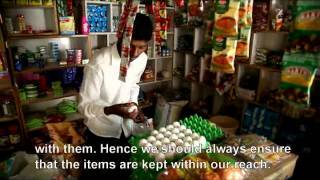 See Dhanesh managing money, taking inventory, serving customers in this 11 min video. "Cafe Coffee Day - Model for success"
"Find out the formula from vision to execution to scaling of disabled. " 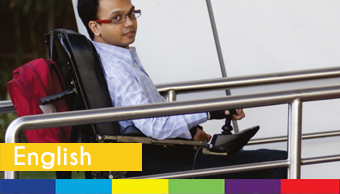 Find out the formula from vision to execution to scaling of disabled. "Can people with severe disabilities work?" "Cannot see and cannot speak and cannot hear? Can work. " Can people with severe disabilities work? Cannot see and cannot speak and cannot hear? Can work. "Self-employed TV mechanic on wheelchair"
"See Manjunath's service mantra for repeat customers. " See Manjunath's service mantra for repeat customers. "Climbing the corporate ladder with muscular dystrophy"
"Deepa, who can move only her fingers, has grown from graphic designer to Asia Pacific diversity manager. " Deepa, who can move only her fingers, has grown from graphic designer to Asia Pacific diversity manager. 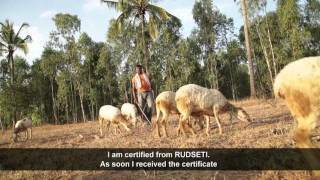 "Augmenting self-employment in rural India"
"Government of Karnataka, PSU, RUDSETI and EI working to promote sustainable self-employment schemes in rural areas." Government of Karnataka, PSU, RUDSETI and EI working to promote sustainable self-employment schemes in rural areas. 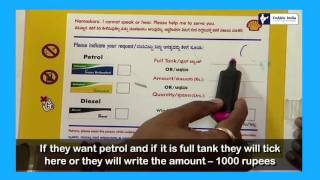 "Gritty cashier on a three wheeler"
"See how Sunitha learned different skills and solved money and health problems and supported her family financially. " 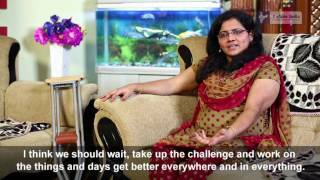 See how Sunitha learned different skills and solved money and health problems and supported her family financially. "The Retail Story: Hiring across disabilities"
"Know how the retail industry sees persons with disability as a valuable human resource." 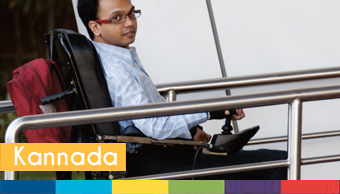 Know how the retail industry sees persons with disability as a valuable human resource. 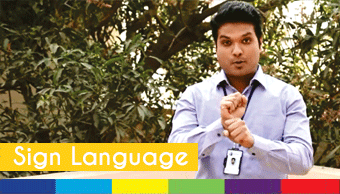 "This video in Telugu will give you basic awareness about various disabilities." 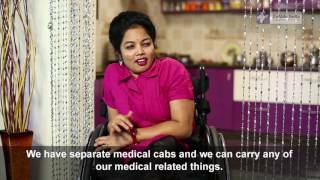 This video in Telugu will give you basic awareness about various disabilities. 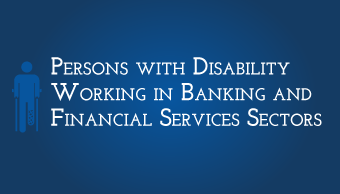 "Persons with severe disabilities working in different roles from different locations. " 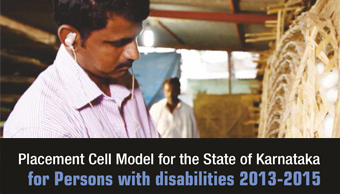 Persons with severe disabilities working in different roles from different locations. "Deaf person with career growth in big IT company"
"Accepted first job with less salary, improved skills and English language." 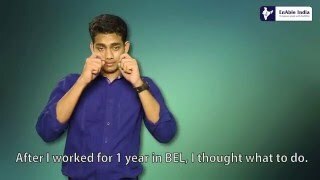 Accepted first job with less salary, improved skills and English language. 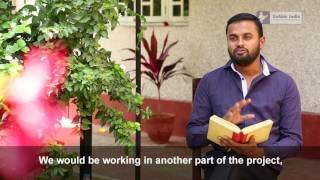 "Venkatesh - Manager with physical disability"
"Person with physical disability shares his experience working as a manager to other persons with disabilities." Person with physical disability shares his experience working as a manager to other persons with disabilities. "See how the retail store nurtures ability and hard work." See how the retail store nurtures ability and hard work. 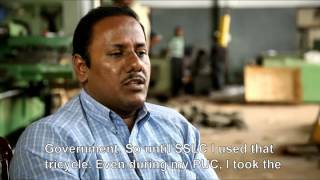 "Low vision and project manager"
"See how Alayna understood her low vision, discovered and grew to take responsibility for self and work"
"Suresh - Visually Impaired packer"
"Watch this video to learn about Suresh's role as a packer"
"Total Solutions at Total Mall "
"Providing simple solutions to empower staff with disability." Providing simple solutions to empower staff with disability. "Habeeb - Visually impaired customer support engineer"
"Watch this 19 minute video of Habeeb becoming a network engineer"
"MIS Executive working with quality in excel"
"See this 6 minute video of a visually impaired person works as MIS Executive working efficiently in Excel"
"Srinivas - Visually Impaired Service Coordinator"
"Watch this 5 minute video of Srinivas’ journey of becoming a service engineer"
"Deaf story: Small jobs to big job in Bank"
"How Rajeev worked, learnt and experienced different jobs "
"Lifting barriers in mind and workplace"
"How a small sized company made a collective decision to hire persons with disability"
"Competencies, humour and degrees of disabilities"
"See people with disabilities in different job roles, accepting themselves with humor and sharing their experiences." See people with disabilities in different job roles, accepting themselves with humor and sharing their experiences. "Physically Disabled Sculptor and Activist"
"See Karthik's long but fruitful struggle to become a woodcarver and a community worker." 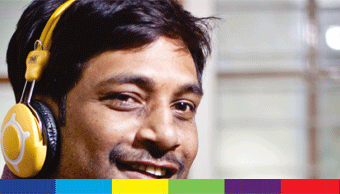 See Karthik's long but fruitful struggle to become a woodcarver and a community worker. "Importance of building a Trust Bank (Hearing Impaired)"
"Observe your own work and build your trust bank with your friends and co-workers." Observe your own work and build your trust bank with your friends and co-workers. "FAQ - How do I give performance feedback for persons with disability?" "See VP of MNC sharing his experiences on performance management"
FAQ - How do I give performance feedback for persons with disability? "First time orientation of office layout"
"Show your blind colleague the layout of the office to help them be independent thereafter." 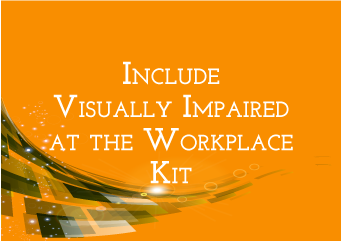 Show your blind colleague the layout of the office to help them be independent thereafter. "See Srinivas’ struggle to find the right job and become cashier with commitment and hard work"
"Shell - Building careers with a diverse workforce "
"Sensitization of customers at different locations through productive workforce of hearing, physical and intellectual disabilities. " Sensitization of customers at different locations through productive workforce of hearing, physical and intellectual disabilities. 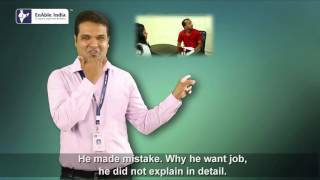 "FAQ - Worried to hire persons with disability"
"Watch this video to learn from a small company director regarding how they addressed the worries and apprehensions about hiring disabled people and took a plunge of hiring"
"Mohith - Visually Impaired Workplace Solution Expert"
"Watch this 7 minute video of Mohith, a Workplace solutions expert." 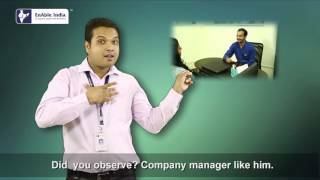 Watch this 7 minute video of Mohith, a Workplace solutions expert. 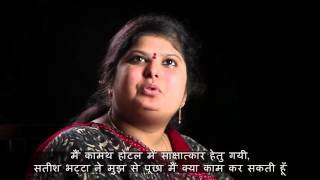 "Acid Attack Survivor: Haseena "
"Meet Haseena who rebuilt her life and relearnt skills to find employment." 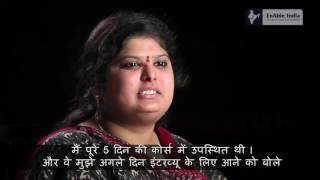 Meet Haseena who rebuilt her life and relearnt skills to find employment. 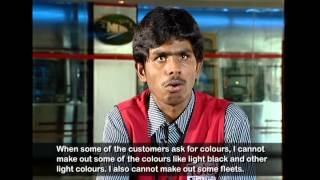 "Visually impaired identifying color in a document"
"See this 1 minute video to understand how visually impaired can see colors in document like others"
"Hearing impaired manager in Café Coffee Day"
"Watch this short video clipping to understand what made Café Coffee Day to promote a hearing impaired as a manager." 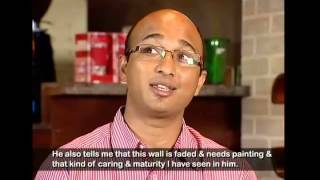 Watch this short video clipping to understand what made Café Coffee Day to promote a hearing impaired as a manager. "Visually Impaired Reading Printed Book"
"Watch this one minute video on how visually impaired can read printed book on computers"
"FAQ - How to give performance feedback to persons with disability"
"See Director of Fibrelink sharing his experiences on performance management"
"Invest in a learning bank"
"Understand how building a learning bank helps you grow and get more salary." Understand how building a learning bank helps you grow and get more salary. ""Understand trust bank Companies want employees whom they can trust and who are reliable. An employee who is reliable comes on time, works hard, works with responsibility, does not give excuses, does not forget the work given, achieves targets, keeps manager informed on what they are doing etc. 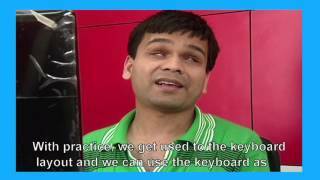 See this 4 minute video where visually impaired trainer Moses explains the trust bank concept with an example. Trust bank helps you to be trust worthy""
"Understand trust bank Companies want employees whom they can trust and who are reliable. An employee who is reliable comes on time, works hard, works with responsibility, does not give excuses, does not forget the work given, achieves targets, keeps manager informed on what they are doing etc. 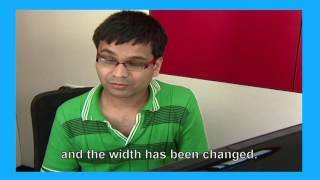 See this 4 minute video where visually impaired trainer Moses explains the trust bank concept with an example. 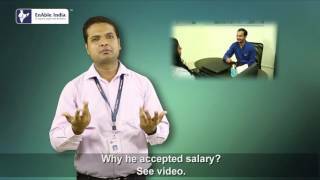 Trust bank helps you to be trust worthy"
"Impact of volunteering work on interview"
"Watch this video of Arjun who has hearing impairment on how his project work helped him answer interview questions"
"Secret of being confident "
"Learn, act and motivate yourself to unleash your potential. " Learn, act and motivate yourself to unleash your potential. "Importance of understanding sector specific terminology and phrases." Importance of understanding sector specific terminology and phrases. "Srinivas learnt the complexity of his work, made mistakes, but continued to work hard and earned respect, recognition and more salary." Srinivas learnt the complexity of his work, made mistakes, but continued to work hard and earned respect, recognition and more salary. "Understanding job profile and company"
"Watch the video to learn the importance to ask the right questions in an interview"
"Be flexible if job is far away"
"It may not be possible to get a job close to your house. When you open your mind to do anything to get a job, you will get more job options. Watch this video and learn about Nagaraj who by traveling 100 kms every day for work, is now respected by his family." It may not be possible to get a job close to your house. When you open your mind to do anything to get a job, you will get more job options. 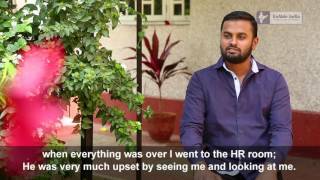 Watch this video and learn about Nagaraj who by traveling 100 kms every day for work, is now respected by his family. "Be flexible to work hard"
"Work is never fixed amount. Based on the targets or problems, work may increase. See video of deaf manager telling what he did on Bharat bandh day"
"Don't Give Excuses Due to Your Disability"
"Get ready to do hard work, stress, work with targets and deadlines given by manager and do not give excuses due to your disability. See this 10 minute video of the journey of Ghousia who has no motor function in hands and legs and who works as a project coordinator with deadlines. She has worked nights to do well in job"
"Talking About Your Work Experience"
"Watch the video to learn how to talk about your work experience." Watch the video to learn how to talk about your work experience. "Watch the video to learn how to talk about yourself in an interview. 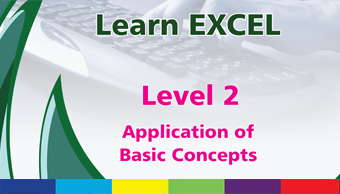 You will also learn how to explain about your disability positively and important things to share"
"Talking About Your Knowledge and Skills"
"Watch the video to learn that you have to share about what you have learned through examples and not by heart answers." Watch the video to learn that you have to share about what you have learned through examples and not by heart answers. "How to answer difficult questions"
"Watch the video to learn how to answer gaps in education and work experience." 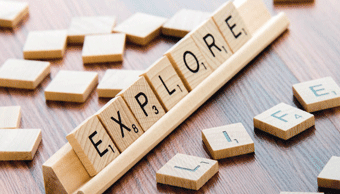 Watch the video to learn how to answer gaps in education and work experience. "Can everyone become a doctor? Teacher? Soldier? Every job has different requirements. When you know more about the job, you can be more prepared in the interview. 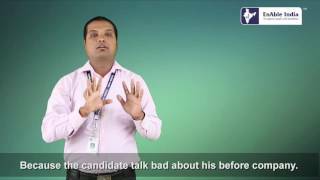 Watch this video to understand the importance to know about your job profile." Can everyone become a doctor? Teacher? Soldier? Every job has different requirements. When you know more about the job, you can be more prepared in the interview. 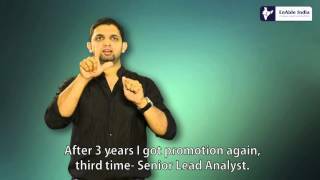 Watch this video to understand the importance to know about your job profile. "Understanding Reality of the Job"
"Watch this video to understand that every job requires specific skills and attitude. When you learn more about the skills and attitude you have, you can apply for jobs that suit you." "How to love your work stage 0"
"This 13 minute audio play helps you understand the importance of staying calm in a difficult situation and not let it affect your performance." This 13 minute audio play helps you understand the importance of staying calm in a difficult situation and not let it affect your performance. "How to love your work stage 1"
"This 8 minute audio play helps you learn that you can enjoy your work more when you understand the impact of your job." 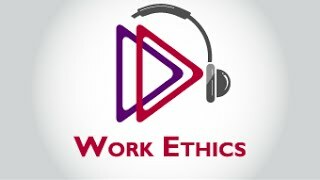 This 8 minute audio play helps you learn that you can enjoy your work more when you understand the impact of your job. "Watch this video to understand that companies are looking for candidates with the right skills and attitude for the job." "How to love your work stage 2"
"This 11 minute audio play will help you will learn that it is important to take pride in the work you do." This 11 minute audio play will help you will learn that it is important to take pride in the work you do. "Understanding company expectations performance stage 0"
"In this audio play, you will learn that the company expects you to perform well and not just complete the task given to you." In this audio play, you will learn that the company expects you to perform well and not just complete the task given to you. "Deliver as per your responsibilities – Stage 2"
"In this audio play, you will learn that it is important to keep learning and improving in your job"
"Deliver as per your responsibilities – Stage 1"
"This audio play demonstrates the importance of learning to solve problems and complete your tasks." This audio play demonstrates the importance of learning to solve problems and complete your tasks. "Deliver as per your responsibilities – Stage 0"
"This audio play helps you to understand what the manager expects from you and the importance of asking questions if you have doubts. " This audio play helps you to understand what the manager expects from you and the importance of asking questions if you have doubts. "Understanding company expectations performance stage 1"
"In this audio play, you will learn that to work good quality, you have to practice." In this audio play, you will learn that to work good quality, you have to practice. "Understanding company expectations performance stage 2"
"In this audio play, you will learn that you have to take pride in the work you do." In this audio play, you will learn that you have to take pride in the work you do. "Understanding company expectations - flexibility stage 0"
"In this audio play, you will learn that flexibility helps you to learn more and improve your performance." In this audio play, you will learn that flexibility helps you to learn more and improve your performance. "Understanding company expectations - flexibility stage 1"
"In this audio play, you will learn that every company is different and you must not compare your work in another company." In this audio play, you will learn that every company is different and you must not compare your work in another company. "Understanding company expectations - flexibility stage 2"
"In this audio play, you will learn the importance of learning how to multi-task." In this audio play, you will learn the importance of learning how to multi-task. 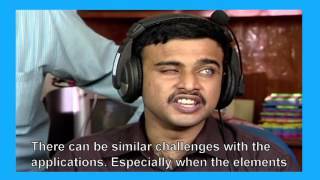 "Prasad - Visually Impaired working clerk in bank"
"Watch this 5 minute video of Prasad becoming a cool banker"
"Vinodh - Quality Analyst multiple (many) disabilities"
"Person with vision impairment and hard of hearing shares his experience as a quality analyst. " 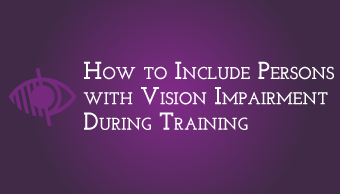 Person with vision impairment and hard of hearing shares his experience as a quality analyst. "Dr. L. Subramani: Media & Journalism"
"Listen to Dr.L.Subramani talk about careers in media and journalism"
"Be proactive and responsible for your career growth"
"Be aware of various domain and job roles available, join courses, participate in company activities, gain recognition and visibility." Be aware of various domain and job roles available, join courses, participate in company activities, gain recognition and visibility. "Be the finished product a company hires"
"You are ready for a job if you know your goals, apply your learnings, your skills and improve your attitude." You are ready for a job if you know your goals, apply your learnings, your skills and improve your attitude. "Cultivate the attitude of learning. Interview process is not about success or failure, it’s all about learning and matching your skills to the company." Cultivate the attitude of learning. Interview process is not about success or failure, it’s all about learning and matching your skills to the company. 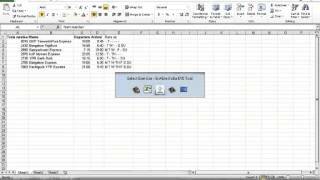 "See this 4 minute video to prevent formatting errors while copying text from internet"
"Examples of visually impaired working with quality and efficiency"
"Watch varied examples how visually impaired can work efficiently on computers and also prevent errors"
"EYE tool detailed - Excel Formatting_Content Visibility"
"See this 4 minute video which shows an example of practicing Excel formatting in EYE tool"
"EYE tool detailed - Excel Formatting-Bolding Column Title"
"See this 2 minute video which shows how EYE tool tells you your exact mistake for you to correct"
"EYE Tool Detailed folder creation"
"See this 1 minute video which shows how EYE tool gives feedback when you make a mistake"
"Be innovative and enable yourself"
"Find innovative solutions to challenges and problems to function effectively." 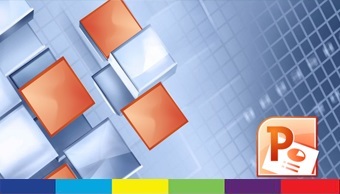 Find innovative solutions to challenges and problems to function effectively. 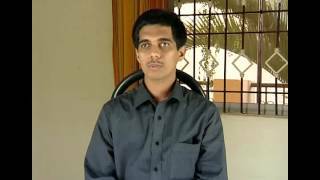 "Jobs for visually Impaired in Finance"
"Hear how Mr. L. Ramakrishna, the first visually impaired post graduate in MMS, shares interesting roles in the finance sector like financial journalism, investment banking, mutual funds, insurance and others." 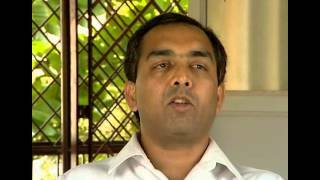 Hear how Mr. L. Ramakrishna, the first visually impaired post graduate in MMS, shares interesting roles in the finance sector like financial journalism, investment banking, mutual funds, insurance and others. 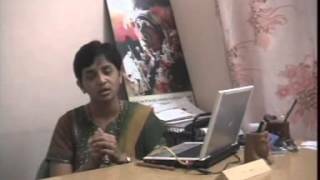 "Mr. Dyson Sambry: Health & Fitness"
"Listen to Mr. Dyson Sambry talk about phisiotherapy and related oppurtunities"
"Mrs. Anuradha Mohit_Civil Services & Government Jobs"
"Listen to Mrs. Anuradha Mohit explaining about jobs in civil services." 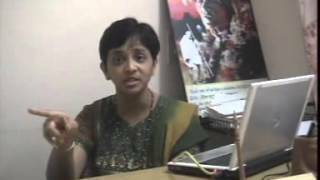 Listen to Mrs. Anuradha Mohit explaining about jobs in civil services. 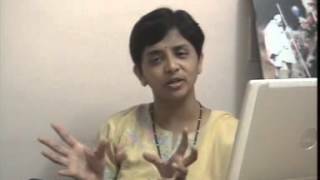 "Ms. Sachu Ramlingam: Social Sector"
"Listen to Ms.Sachu Ramlingam talking about job oppurtunities in the social services sector"
"It is important to take down notes, as a back-up, especially for visually impaired people to ensure information is not lost and to refresh the memory." It is important to take down notes, as a back-up, especially for visually impaired people to ensure information is not lost and to refresh the memory. 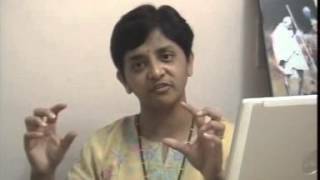 "Listen to Shanti Raghavan explaining employment opportunities for visually impaired"
"Self-realization and planning volunteer projects helps people with disabilities organize, plan and value their service." Self-realization and planning volunteer projects helps people with disabilities organize, plan and value their service. "Impact of learning to carry out responsibilities on family and career"
""Impact of being responsible Understand the importance of taking responsibilities every day. 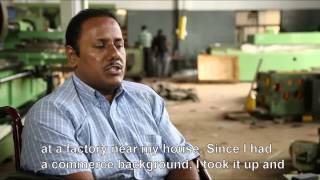 Pradeep who is hearing impaired tells about how he was not responsible when he joined work. He then joined training and learnt the importance of being responsible. Today he works in ANZ Bank and is respected by team and manager""
"Impact of being responsible Understand the importance of taking responsibilities every day. 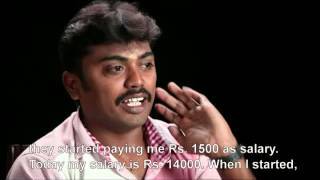 Pradeep who is hearing impaired tells about how he was not responsible when he joined work. He then joined training and learnt the importance of being responsible. Today he works in ANZ Bank and is respected by team and manager"
"Preventing errors while saving file"
"See this 4 minute video of how to prevent confusion and errors while saving file"
"Importance of carrying out responsibilities"
""Disability related challenges to work Does your family expect you to work? Does your family expect you to be responsible? Please see this video and see if this applies to you. If you have not been doing daily responsibilities, it will be difficult for you to go and work with responsibility""
"Disability related challenges to work Does your family expect you to work? Does your family expect you to be responsible? Please see this video and see if this applies to you. If you have not been doing daily responsibilities, it will be difficult for you to go and work with responsibility"
"Secrets to learn good English"
""Secrets to learn good English You may be going from one English training to another without seeing any improvement. Listen to this audio to know how to improve your English in simple practical ways."" 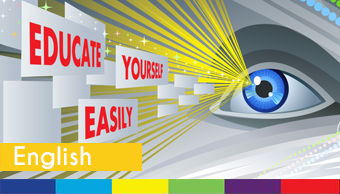 "Secrets to learn good English You may be going from one English training to another without seeing any improvement. 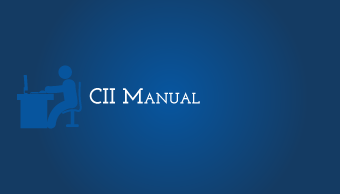 Listen to this audio to know how to improve your English in simple practical ways." "Importance of range of experience"
""Be successful by getting exposure You will be surprised to know how simple it is for you to compete successfully in the world and do well in your life and job. It starts with small steps like gaining exposure and experiences which you have never had. 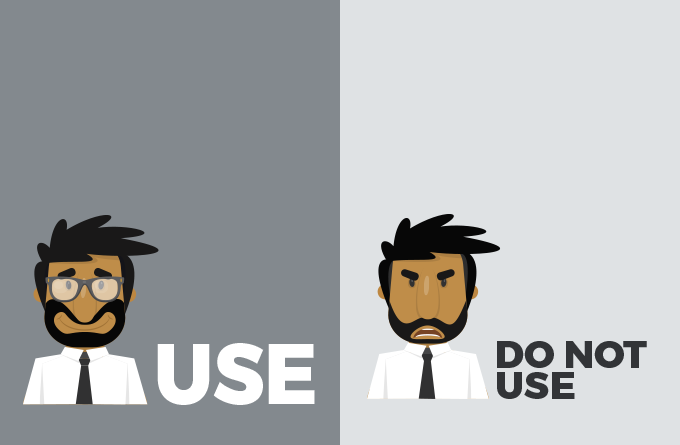 See this very important video and see if you face a problem of having less exposure too. The examples given are done in our training program. Learn from these examples and make sure you gain the same exposure and get ready to compete in the world!"" "Be successful by getting exposure You will be surprised to know how simple it is for you to compete successfully in the world and do well in your life and job. It starts with small steps like gaining exposure and experiences which you have never had. See this very important video and see if you face a problem of having less exposure too. The examples given are done in our training program. Learn from these examples and make sure you gain the same exposure and get ready to compete in the world!" 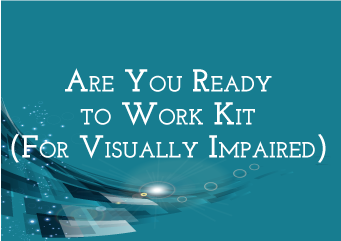 "Use this funny video to sensitize your team about do’s and don’ts on interacting with visually impaired." 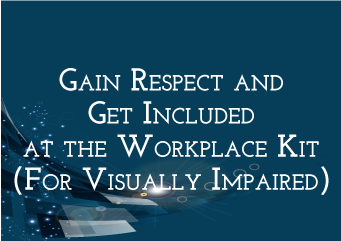 Use this funny video to sensitize your team about do’s and don’ts on interacting with visually impaired. 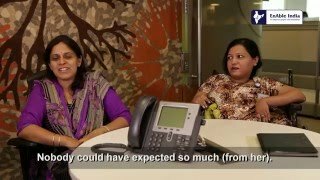 "Inclusive Culture @ Capgemini India"
"The video captures Capgemini India’s business practices of diversity in workforce." 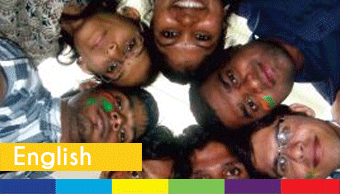 The video captures Capgemini India’s business practices of diversity in workforce. 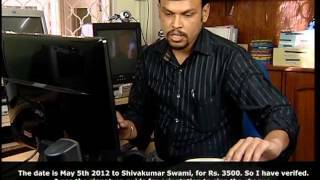 "Impact of doing real work on career"
"See this half minute video where Srinivas who is blind explains the work that he did for Enable India NGO. He explains the impact of the work as well. Srinivas gained a lot of exposure and experience. Thanks to this, he got a job at IBM." 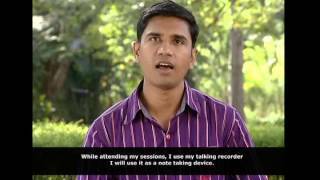 See this half minute video where Srinivas who is blind explains the work that he did for Enable India NGO. He explains the impact of the work as well. Srinivas gained a lot of exposure and experience. Thanks to this, he got a job at IBM. "Experiential learning for taking ownership and responsibility"
"During training we set expectations, give responsibilities, encourage finding solutions and subsequently inculcate self-respect." During training we set expectations, give responsibilities, encourage finding solutions and subsequently inculcate self-respect. "This video will help you learn when and how to inform your manager about the work you are doing." This video will help you learn when and how to inform your manager about the work you are doing. "Persons with disability are exposed to taking feedback"
""Learn to take feedback See this video where you see how students with disability get used to taking feedback in training. After seeing this video, please make sure you take feedback and welcome it and learn from it""
"Learn to take feedback See this video where you see how students with disability get used to taking feedback in training. After seeing this video, please make sure you take feedback and welcome it and learn from it"
"Think of learnings and maintain it everyday. Learning bank only grows and never gets debited. When you do your first job, your salary may be low but if you keep learning, your learning bank will grow. When you have a big learning bank, your experiences and expertise will be more. Your salary will automatically match your experience! Listen to this audio which explains more. By maintaining a learning bank you will be open to any job offered and so you will get many job opportunities"
"Take into account, expectations of the sighted world and understand sighted behavior at the workplace." Take into account, expectations of the sighted world and understand sighted behavior at the workplace. "Visually Impaired Multitasking between applications"
"Watch this 2 minute video of visually impaired multi-tasking between applications, seeing events and working fast"
"Visually Impaired performing tasks in Excel"
"See this 4 minute video on important tasks visually impaired can perform in Excel"
"Visually Impaired person performing tasks in MS Word"
"See this 4 minute video on how visually impaired can work with ease in Microsoft Word"
"Visually Impaired Seeing A Cheque"
"Watch this one minute video where a visually impaired reads a cheque using computers, scanner and OCR"
"To see and work-A blind perspective"
"Demonstration of how effectively and efficiently persons with visual impairment use various applications through screen reader"
"Visually Impaired Using Different Computer Applications"
"Watch this 5 minute video which shows how visually impaired can navigate and work on multiple applications with ease"
"Visually impaired using inaccessible application"
"See this short video on how visually impaired can use inaccessible applications with the help of simple settings of screen reader"
"Visually Impaired using page markers"
"See this 1 minute video on how visually impaired can be quick as sighted in accessing information on internet using bookmark"
"Visually Impaired using standard keyboard and screen reader"
"Watch this 2 minute video of visually impaired using the standard keyboard and screen reader"
"FAQ - Where do I find persons with disability?" "This video interview with a VP of an MNC will give you easy tips to being your diversity hiring"
FAQ - Where do I find persons with disability? 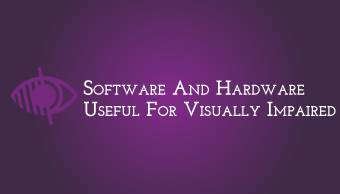 "Visually Impaired Visualizing Excel Via Tactile"
"See this 1 minute video on visualizing excel via tactile diagram"
"Visually Impaired person performing tasks over internet"
"See this 4 minute video on how visually impaired can perform various tasks in Internet"
"Watch this video to learn how to include hearing impaired in the workplace." 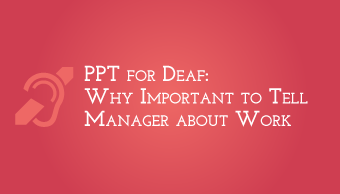 Watch this video to learn how to include hearing impaired in the workplace. 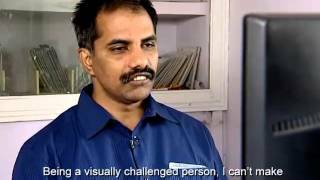 "Awareness about Vision Impairment "
"Watch this video to sensitize your peers about different aspects of vision impairment and to feel comfortable with visually impaired colleagues"
"Jagdish – Physically disabled graphic designer"
"Watch this video to understand the challenges faced by Jagdish to get a job"
"Watch गहन विकलांगता वाले व्यक्ति समाधान का उपयोग करते हुए"
"इस वीडियो में पता चलेगा कि गहन विकलांगता वाले व्यक्ति विभिन्न समाधानो का उपयोग करके कैसे सम्मानित जीवन जी रहे हैं"
"थोमसन रयूटर्स कहानी - विकलांग व्यक्तियों की भर्ती"
"इस वीडियो में जानिये कि थॉम्सन राय्टर्स विकलांग व्यक्तियों को नौकरी पे क्यों रखता है"
"Retail Sector – विभिन्न प्रकार के विकलांग व्यक्तियों की भर्ती"
"यह दस मिनट की वीडियो रिटेल क्षेत्र में विकलांग व्यक्तियों को काम पर रखने का व्यापार मूल्य प्रस्ताव और तरीका बताता है"
"नेत्रहीन एवं श्रवणबाधित व्यक्ति IT एवं ITES काम पर"
"इस वीडियो को देखे और जाने IT एवं ITES क्षेत्र में उपलब्ध नौकरियां"
"Watch नेत्रहीन एवं श्रवणबाधित व्यक्ति अपने कार्य में समाधान का प्रयोग करते हुए"
"इस वीडियो में नेत्रहीन और श्रवणबाधित व्यक्ति अपने कामों में समाधान का प्रयोग कर रहे हैं"
"विकलांग लोग पेशेवर के साथ semi-skilled कार्य क्षेत्र में"
"इस वीडियो में विकलांग लोग अर्धकुशल कार्य क्षेत्र में कम कर रहे हैं"
"Jagdish - Physically disabled graphic designer "
"Importance of Mobility for Job"
"Mobility of a visually impaired person plays an important role in his/her getting a job. Listen to this audio to know how"
"Manager at Shell explaining Communication Board"
"Shell Manager explaining Communication board about how hearing impaired uses this solution"
"To Include disability in Resume or not?" 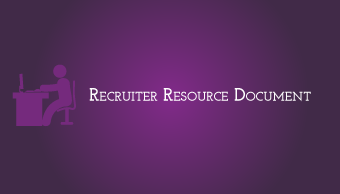 "In this video you will see how candidates have different viewpoints on sharing information about their disability in their resumes." 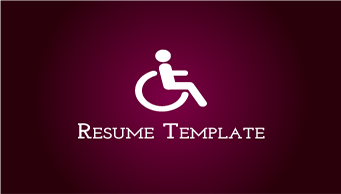 To Include disability in Resume or not? 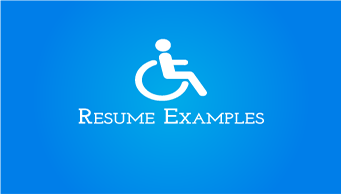 In this video you will see how candidates have different viewpoints on sharing information about their disability in their resumes. "Should Workplace be fully accessible?" "See this video to understand that you can make the workplace accessible in phases"
Should Workplace be fully accessible? "How to be Inclusive during interviews?" 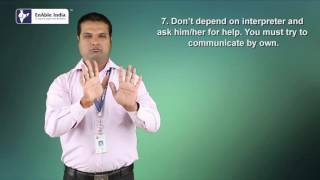 "See this video to know ways to include a person with disability during interviews"
How to be Inclusive during interviews? 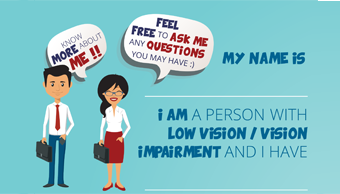 "How to conduct interview and assess PwDs?" 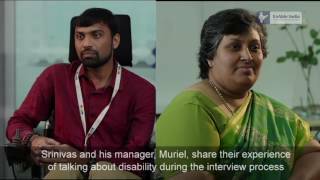 "This video suggests some ways to conduct interviews and assess persons with disability "
How to conduct interview and assess PwDs? 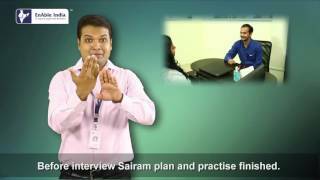 "How to practice for interview (deaf)"
"You want to know how to plan for interview? You want to know what question manager ask in company? See videos to learn how to practice for interview. Videos will help deaf new to job and person who has experience." You want to know how to plan for interview? You want to know what question manager ask in company? See videos to learn how to practice for interview. Videos will help deaf new to job and person who has experience. "This video shows how persons with disability are comfortable answering questions related to their disability during interviews"
"Good Body Language for Interview"
"Learn importance of understanding, communicating and explaining to the company manager." Learn importance of understanding, communicating and explaining to the company manager. 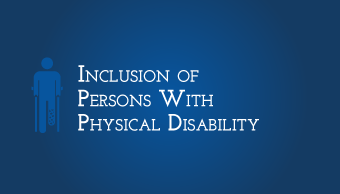 "How does a person with physical disability travel to work?" "In this video you will see how persons with physical disability travel to their workplace everyday"
How does a person with physical disability travel to work? "INTERVIEW QUESTION: TELL ME ABOUT YOURSELF"
"Learn how to “Tell about yourself”"
"Can PD travel on work?" 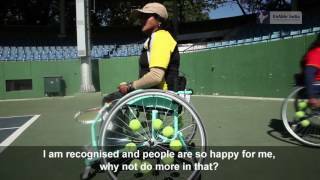 "This video shows how some persons with physical disabilities can also travel on work to other places, if asked." Can PD travel on work? 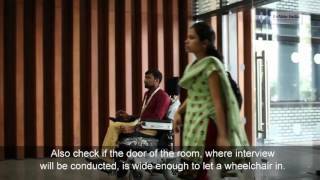 This video shows how some persons with physical disabilities can also travel on work to other places, if asked. "INTERVIEW QUESTION: WHY DO YOU WANT JOB"
"Learn how to answer “Why you want this job?”"
"Reasonable Accomodations for a PD employee"
"See this video to understand what reasonable accommodation is for a person with physical disability." See this video to understand what reasonable accommodation is for a person with physical disability. "INTERVIEW QUESTION: WHY YOU WANT TO WORK IN THIS COMPANY"
"Learn how to answer “Why you want to work in this company”"
"How to help PwD settle in team?" "Sensitizing the team will always help the person with physical disability settle in faster. See this video to know more." 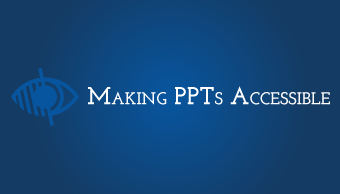 How to help PwD settle in team? 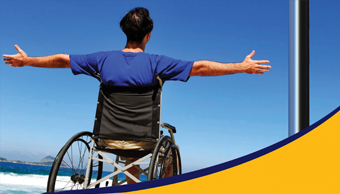 Sensitizing the team will always help the person with physical disability settle in faster. See this video to know more. "INTERVIEW QUESTION: ARE YOU READY TO WORK IN SHIFTS"
"Watch this video to understand why some companies have different work timings." 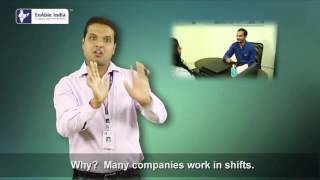 Watch this video to understand why some companies have different work timings. "See this video to know how to include your colleague with physical disability in company outings"
"CAFÉ COFFEE DAY – श्रवण बाधित प्रबंधक कैफ़े कॉफ़ी डे में"
"इस वीडियो में विकलांग व्यक्तियों को काम पर रखने के लिए कैफे कॉफी डे और उनकी रणनीति की कहानी दिखाएगा"
"INTERVIEW QUESTION: ARE YOU READY TO RELOCATE"
"Watch this video to understand why some companies have office in many places." 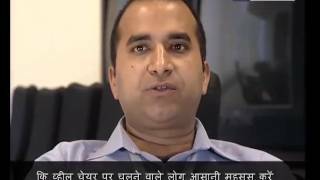 Watch this video to understand why some companies have office in many places. "Is there any co-relation between disability and performance? Find out more in this video." Is there any co-relation between disability and performance? Find out more in this video. "BIG BAZAAR – मानसिक विकलांग प्रबंधक और अन्य बिग बाज़ार में"
"इस विडियो में देखेंगे कि विकलांग व्यक्ति समाधान का उपयोग करके बिग बाजार में काम करते हैं"
"INTERVIEW QUESTION: HOW MUCH SALARY YOU WANT"
"Learn how to answer “How much salary you want?”"
"How diversity hiring helps company"
"How does diversity hiring benefit the team and company at large? 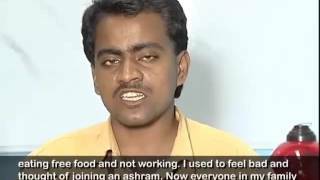 See this video to know more." How does diversity hiring benefit the team and company at large? See this video to know more. "TOTAL MALL – अल्प-दृष्टि बाधित और अन्य टोटल मॉल में"
"इस 6 मिनट के वीडियो को देखें और समझे कि कैसे टोटल मॉल विकलांग लोगों को सही समाधान के साथ सक्षम बनाया"
"IMPORTANT POINTS OF INTERVIEW PREPARATION"
"Watch this video to remember important points before going for interview"
"How to introduce Persons with physical Disability"
"This video explains the right way to introduce a person with physical disability with the correct terminology"
"Candidate with experience What you do after you leave your before job"
"How to answer what you do after you leave your before job"
"What to do while waiting for job"
"This video shows you candidates who kept themselves engaged while waiting for a job"
"SHELL – बौद्धिक विकलांग और अन्य शेल में"
"इस 10 मिनट के वीडियो में देखेंगे कि कैसे शेल कंपनी ने विभिन्न प्रकार के विकलांग व्यक्तियों को नौकरी दिया"
"Candidate with experience Why you leave your before job"
"How to answer candidate with experience Why you leave your before job"
"In this video persons with physical disability share their viewpoints of working in a small company and an MNC"
"दानिश - General Store का दृष्टिहीन प्रबंधक"
"इस 11 मिनट के वीडियो में देखेंगे कि दानिश खुद से एक दुकान चला रहा है"
"Hear various persons with disability share their first day experiences in this video"
"जगदीश – अस्थि विकलांग graphic designer जो दृढ़ता के साथ प्रदर्शन करता है|"
"इस विडियो में देखे कि जगदीश ने एक नौकरी पाने के लिए कितने चुनौतियों का सामना किया है "
"Right Fit or not for job role"
"You will understand from this video that every job needs a different skill set." You will understand from this video that every job needs a different skill set. "कार्तिक – अस्थि विकलांग carpenter "
"इस वीडियो में देखें कि कार्तिक बिना वेतन के 2 साल तक क्यों काम करता रहा"
"Ask employer for Work From Home or single shift options"
"See this video to hear candidates talk about earning the flexibility in work timings sometimes"
"सुनीता - अस्थि विकलांग cashier Kamath होटल में"
"इस वीडियो में देखें कि सुनीता अपनी स्वास्थ्य समस्याओं को किस तरह पार किया"
"How to handle stress at workplace"
"In this video hear persons with disability talk about ways of coping with work pressure and stress"
"How long to wait for promotion or hike"
"In this video hear persons with disability share their experiences on getting a promotion in a company"
"In this video persons with disability suggest ways to improve performance"
"How to keep engaged in other activities"
"In this video, you will see how persons with physical disability keep themselves engaged in activities outside the workplace for a sound body and mind." 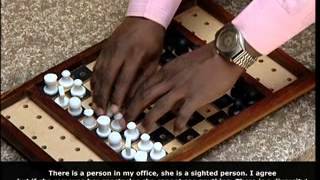 In this video, you will see how persons with physical disability keep themselves engaged in activities outside the workplace for a sound body and mind. "Shared responsibility of my employer"
"See this video to understand that getting included at the workplace is a shared responsibility." See this video to understand that getting included at the workplace is a shared responsibility. "University model creates career awareness among college students with disability about jobs available and potential employers. Students are given the necessary training to make them employable. 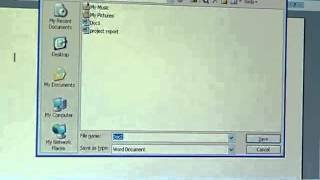 Note: This video does not have audio descriptions." University model creates career awareness among college students with disability about jobs available and potential employers. Students are given the necessary training to make them employable. Note: This video does not have audio descriptions. "KTTM has adopted the Inclusive outsourced model. Outsourced jobs from KTTM were given to an NGO, the NGO worked out a 3 party agreement with another company Microtek so that employees with disability get an environment which is mainstream. The scope for putting severe disability is more in such a model. Note: This video does not have audio descriptions." KTTM has adopted the Inclusive outsourced model. Outsourced jobs from KTTM were given to an NGO, the NGO worked out a 3 party agreement with another company Microtek so that employees with disability get an environment which is mainstream. The scope for putting severe disability is more in such a model. Note: This video does not have audio descriptions. "Use this video to sensitize people about different aspects of hearing impairment and to feel comfortable with hearing impaired colleagues." 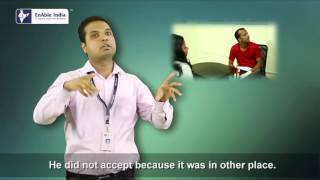 Use this video to sensitize people about different aspects of hearing impairment and to feel comfortable with hearing impaired colleagues. "ಬದಲಾವಣೆಯ ರಾಯಭಾರಿಯಗಳ ಪಯಣ ವಿವಿಧ ಅಂಗವಿಕಲತೆಯುಳ್ಳ ವ್ಯಕ್ತಿಗಳ ನೇಮಕಾತಿ ಮೂಲಕ ಮನೋವ್ರತ್ತಿಯ ಬದಲಾವಣೆ - Changing mindsets"
"Persons with severe disabilities working in different roles from different locations." "ಪರಿಹಾರಗಳ ಮೂಲಕ ಯಶಸ್ಸಿನ ಜೀವನಧಲ್ಲಿ severe ಅಂಗವಿಕಲತೆಯುಳ್ಳ ವ್ಯಕ್ತಿ"
"In this video, you will see the journey of Ghousia, a person with multiple disabilities - along with the solutions she uses at the workplace." 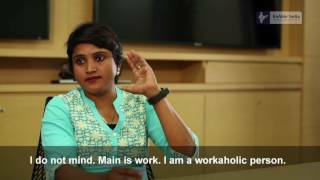 In this video, you will see the journey of Ghousia, a person with multiple disabilities - along with the solutions she uses at the workplace. "ಅಂಗವಿಕಲತೆಯುಳ್ಳ ವ್ಯಕ್ತಿಗಳ ನೇಮಕಾತಿಯ ಪ್ರಯಾಣದಲ್ಲಿ – Thomsun Reuters"
"This video will help you understand what the journey of Thomson Reuters in hiring persons with vision impairment, hearing impairment and cerebral palsy." 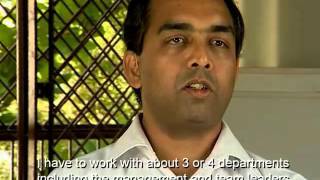 This video will help you understand what the journey of Thomson Reuters in hiring persons with vision impairment, hearing impairment and cerebral palsy. "Retail ಕ್ಷೇತ್ರ ದಲ್ಲಿ ವಿವಿಧ ಅಂಗವಿಕಲತೆಯುಳ್ಳ ವ್ಯಕ್ತಿಗಳ ನೇಮಕಾತಿ"
"This ten minute video explains the business value proposition and the steps for hiring persons with disability in the retail sector." 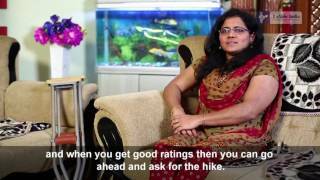 This ten minute video explains the business value proposition and the steps for hiring persons with disability in the retail sector. "ಮಾಹಿತಿತಂತ್ರಜ್ಞಾನ ಹಾಗು ತಂತ್ರಜ್ಞಾನ ಆಧಾರಿತ ಕ್ಷೇತ್ರಗಳಲ್ಲಿ ಕೆಲಸ ನಿರ್ವಹಿಸಿತಿರುವ ಶ್ರವಣ ಧೋಷ ಹಾಗು ದೃಷ್ಟಿ ದೋಷ ಇರುವ ವ್ಯಕ್ತಿಗಳು - IT and ITES"
"Understand what jobs persons with vision and hearing impairment do in the IT and ITES sectors." 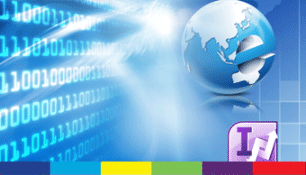 Understand what jobs persons with vision and hearing impairment do in the IT and ITES sectors. "ಬಿಗ್ ಬಜಾರ್ ನಲ್ಲಿ Cerebral Palsy ಮತ್ತು ಇನ್ನಿತರ ಅಂಗವಿಕಲತೆಯುಳ್ಳ ವ್ಯಕ್ತಿಗಳ ಕಾರ್ಯವೈಖರಿ"
"ದೃಷ್ಟಿದೋಷವುಳ್ಳ ವ್ಯೆಕ್ತಿ ಕಿರಾಣಿ ಅಂಗಡಿಯನ್ನು ನಡೆಸುತ್ತಿರುವುದು - Store"
"Person with physical disability shares his experience working as a manager to other persons with disabilities. " "ತೀವ್ರ ಅಂಗವಿಕಲತೆಯುಳ್ಳ TV ಮೆಕ್ಯಾನಿಕ್ ಸ್ವ ಉದ್ಯೋಗಿ"
"Hotel ಕ್ಯಾಶಿಯರ್ ವೃತ್ತಿಯಲ್ಲಿ ದೈಹಿಕ ಅಂಗವಿಕಲತೆಯುಳ್ಳ ವ್ಯೆಕ್ತಿ"
"ಕರಕುಶಲ (ಬಡಗಿ) ವೃತ್ತಿಯಲ್ಲಿ ದೈಹಿಕ ಅಂಗವಿಕಲತೆಯುಳ್ಳ person"
"See Karthik's long but fruitful struggle to become a woodcarver and a community worker. " 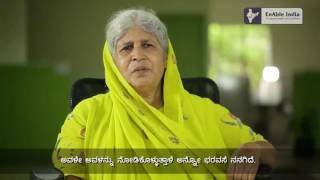 "ಅಂಗಡಿ Cashier ವೃತ್ತಿಯಲ್ಲಿ ದೈಹಿಕ ಅಂಗವಿಕಲತೆಯುಳ್ಳ ವ್ಯೆಕ್ತಿ"
"See Srinivas’ struggle to find the right job and become cashier with commitment and hard work "
"Medical ವಲಯದಲ್ಲಿ ದೈಹಿಕ ಅಂಗವಿಕಲತೆಯುಳ್ಳ ಡಿಸೈನರ್"
"Watch this video to understand the challenges faced by Jagdish to get a job "
"ವಿವಿಧ ಪರಿಹಾರಗಳನ್ನು ಬಳಸುತ್ತಿರುವ ಧೃಷ್ಟಿ and ಶ್ರವಣದೋಷವುಳ್ಳ ವ್ಯೆಕ್ತಿಗಳು"
"See 4 mins of blind person signing cheque, manager giving feedback to deaf employee and other workplace solutions." "ವಿವಿಧ Semi ಕುಶಲ ವೃತ್ತಿಗಳಲ್ಲಿ ಅಂಗವಿಕಲತೆಯುಳ್ಳ ವ್ಯೆಕ್ತಿಗಳು"
"Watch persons with disability working in different semi-skilled jobs such as Titan, Kamat, Retail and others." 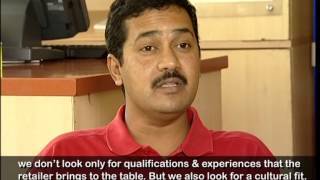 Watch persons with disability working in different semi-skilled jobs such as Titan, Kamat, Retail and others. "Spelling Tool: Learn 3000+ words"
Practice spellings in 50+ categories like company names, work related words, homonyms, plurals etc. The tool gives immediate feedback and helps you to correct your mistakes. "Practice spellings in 50+ categories like company names, work related words, homonyms, plurals etc. 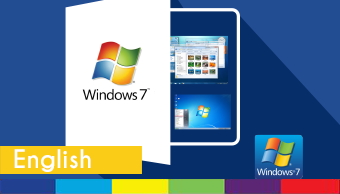 The tool gives immediate feedback and helps you to correct your mistakes. " "Use this form to assess the maturity level of your company in hiring and including persons with disability"
This tool in Kannada helps persons with disability improve computer skills by practicing computer concepts, get evaluated and see reports. You can also order for a CD by sending a mail to info@enableacademy.org. 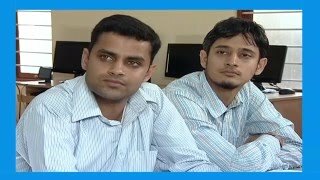 "This tool in Kannada helps persons with disability improve computer skills by practicing computer concepts, get evaluated and see reports. You can also order for a CD by sending a mail to info@enableacademy.org." 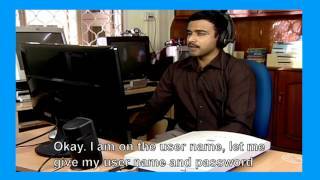 This tool in Hindi helps persons with disability improve computer skills by practicing computer concepts, get evaluated and see reports. You can also order for a CD by sending a mail to info@enableacademy.org. 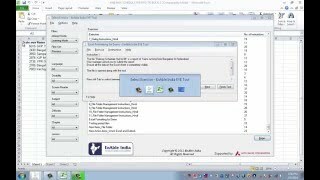 "This tool in Hindi helps persons with disability improve computer skills by practicing computer concepts, get evaluated and see reports. 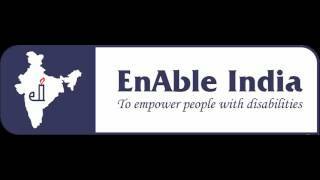 You can also order for a CD by sending a mail to info@enableacademy.org." "இக்கருவி இன்டர்நெட்டை பயன்படுத்துவதற்கும், பைல் மற்றும் போல்டர் மேனேஜ் செய்வதற்கும் எடிட்டிங் மற்றும் M S ஆபீஸ் டூல்ஸ் போன்ற உங்களின் கணினி திறமையை மேம்படுத்திக்கொள்ள பயிற்சிகள் மூலம் உதவுகிறது. நீங்கள் உங்கள் முன்னேற்றத்தை மதிப்பீடு மற்றும் அறிக்கைகள் மூலம் அறியலாம்"
"EYE Tool: Educate Yourself Easily"
Use this tool to improve computer skills like internet usage, file folder management, editing, MS Office tools, through exercises. 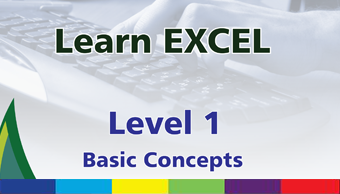 See your progress through evaluation and reports. 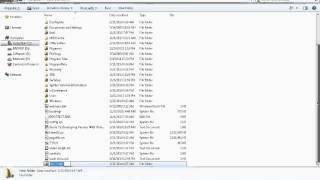 "Use this tool to improve computer skills like internet usage, file folder management, editing, MS Office tools, through exercises. See your progress through evaluation and reports. " "Self Advocacy Kit For Visually Impaired"
This self-advocacy kit will enable visually impaired to approach employers independently and generate awareness and communicate about solutions. 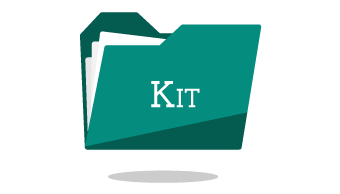 This kit contains documents on self-advocacy skills, best practices handbook for hiring persons with disability, resume template, FAQs on visually impaired using computers and tips on interviewing visually impaired. 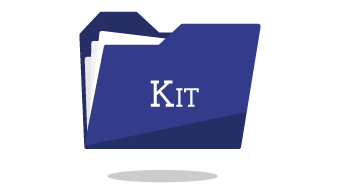 "This self-advocacy kit will enable visually impaired to approach employers independently and generate awareness and communicate about solutions. 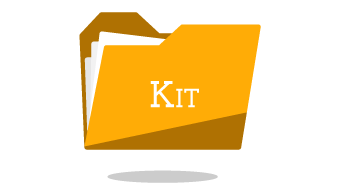 This kit contains documents on self-advocacy skills, best practices handbook for hiring persons with disability, resume template, FAQs on visually impaired using computers and tips on interviewing visually impaired." 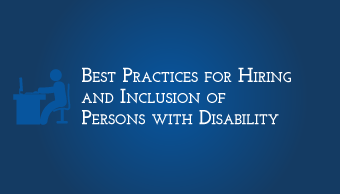 "Best Practices for Hiring and Inclusion of Persons with Disability"
See Best Practices that many employers have undertaken in the employment of persons with disability. 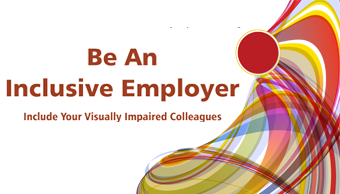 "See Best Practices that many employers have undertaken in the employment of persons with disability." "Software and Hardware useful for Visually Impaired"
"This brochure lists out the different/recommended software and hardware that can help visually impaired to work on computers"
"Persons with Disability Working in the IT and ITES Sectors"
"This brochure will show some of the job roles done by persons with disabilities in the IT and ITES sectors"
"Guidelines to Use Simple English"
Use this guide to understand how to communicate with deaf effectively in a simplified manner. 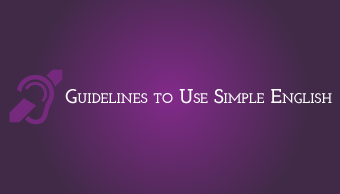 "Use this guide to understand how to communicate with deaf effectively in a simplified manner." "Persons with Disability in Banking and Financial Services Industry"
"This brochure will help you understand the roles that persons with disabilities have done in the BFSI sector"
"Installation Guide for Screen Readers"
"This document will help you install a screen reader software used by visually impaired to access computers"
This document is a basic guide on conducting interviews for persons with disabilities. 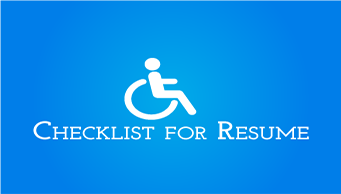 "This document is a basic guide on conducting interviews for persons with disabilities." 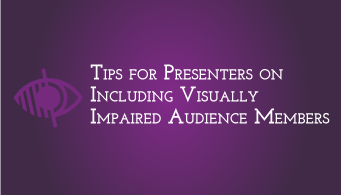 "Tips for Presenters on Including Visually Impaired Audience Members"
"Refer the document to learn how to include visually impaired audience during presentations"
"Inclusion of persons with physical disability"
"Learn how to include persons with physical disability during volunteering activities"
See how power point presentation documents can be made inclusive for visually impaired. 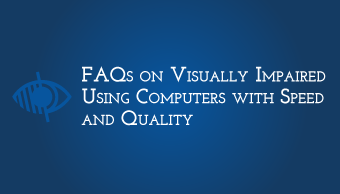 "See how power point presentation documents can be made inclusive for visually impaired." Did you know there are 45 job roles like store manager, karigar, optometrist, technician, commercial officer for persons with disability at different Titan outlets? 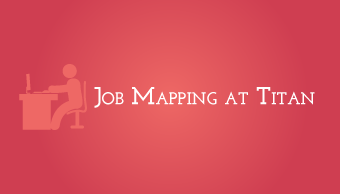 Use this document to understand the process for mapping job roles. "Did you know there are 45 job roles like store manager, karigar, optometrist, technician, commercial officer for persons with disability at different Titan outlets? 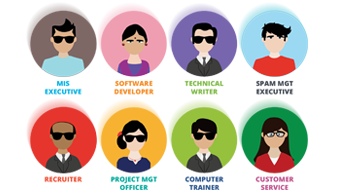 Use this document to understand the process for mapping job roles. " 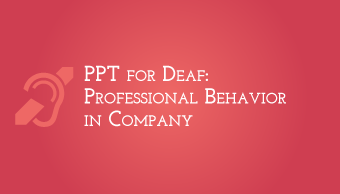 "How To Solve Communication Problems At Work"
In company, deaf work with hearing people. 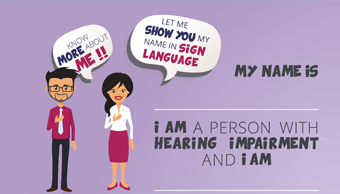 Learn different solutions to help you to communicate with hearing team. 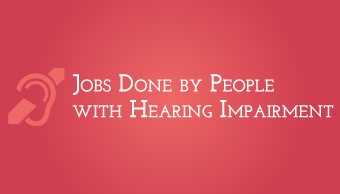 "In company, deaf work with hearing people. 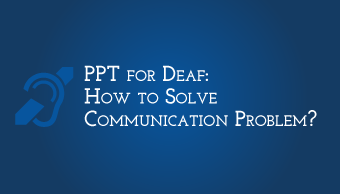 Learn different solutions to help you to communicate with hearing team. " 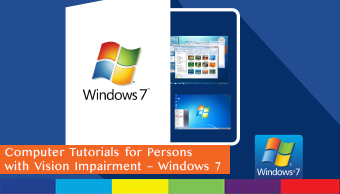 "Download this file to learn professional behaviour in company"
"Career Progression for Persons with Disability"
"See case studies to understand the factors which affect career progression for a person with disability"
"FAQ on Visually Impaired Using Computers"
"Use this brochure to answer your doubts on visually impaired performing tasks on computer"
"Download this manual created by DEOC and CII, to help your company understand inclusion and management of persons with disability"
"Deaf Working in Different Jobs"
"Get to know the interesting jobs done by persons with hearing impairment across sectors"
"Why Hearing People Find Hard To Use Sign Language"
Download this file to understand the problem hearing people have to use sign language. 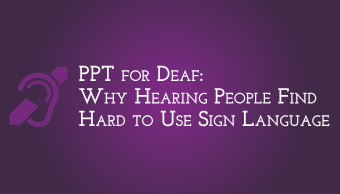 "Download this file to understand the problem hearing people have to use sign language." Why Important To Tell Manager About Work? "Why Important To Tell Manager About Work?" "Download this file to understand why it is important to keep manager informed about work"
"How to Include Persons with Vision Impairment During Training"
"Use this document to include persons with vision impairment during training"
"Virtual Job Fair: An Overview"
Understand a virtual job fair and know the benefits of conducting one. 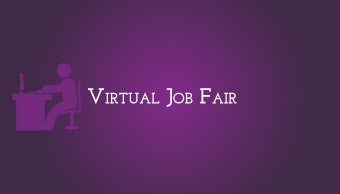 "Understand a virtual job fair and know the benefits of conducting one." 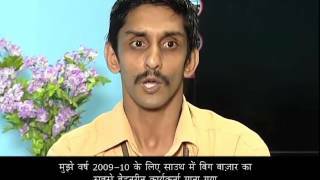 "Physically Disabled Working in Different Jobs"
See different jobs done by physically disabled. 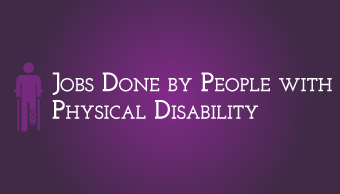 "See different jobs done by physically disabled." 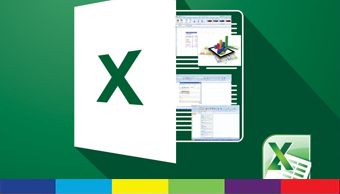 Download this document for a list of services and service providers. This list is not exhaustive, and is subject to change. Some of these services may be chargeable. "Download this document for a list of services and service providers. This list is not exhaustive, and is subject to change. Some of these services may be chargeable. " 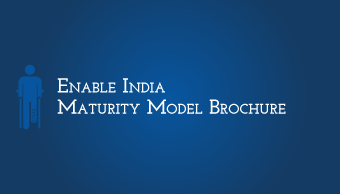 "EnAble India Maturity Model Brochure"
"Assess your company's inclusion level and learn to adapt the required practices to hire persons with disability by downloading the Maturity Transformation Model brochure"
This document provides answers and solutions regarding how to communicate with hearing impaired effectively using simple methods. 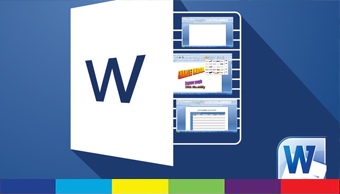 Use the document to break communication barriers at your organization. 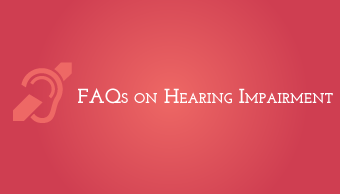 "This document provides answers and solutions regarding how to communicate with hearing impaired effectively using simple methods. 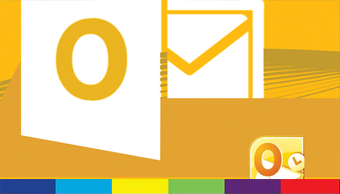 Use the document to break communication barriers at your organization." "Learn to make good resume by seeing common mistakes made by people through bunch of resumes"
"Use this checklist to make sure that you have not missed any important information in your resume and make it attractive"
"This template will help you to have a resume with good formatting." 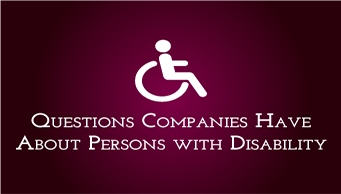 "FAQ About Persons With Disabilities"
Company managers have questions about your disability; but, they hesitate to ask. 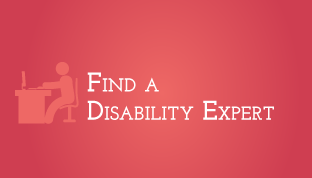 "Company managers have questions about your disability; but, they hesitate to ask." 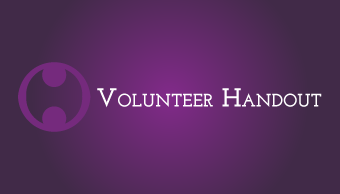 Use this volunteer checklist to see if you're a superhero volunteer! 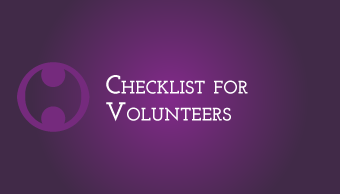 "Use this volunteer checklist to see if you're a superhero volunteer!" 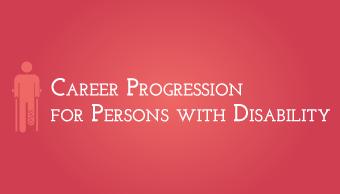 "Learn the basics of volunteering with persons with disability with this document"
"Visually impaired with career progression"
Read about visually impaired who have worked on moving up in their careers. 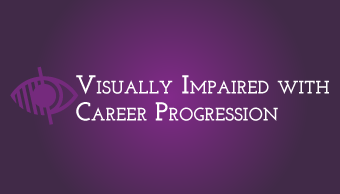 "Read about visually impaired who have worked on moving up in their careers." Use this document to practice for interview. "Use this document to practice for interview." "Handbook for Employees with Disability"
Customize and use the handbook to orient your employees with disability about your company's equal opportunity policy in various aspects such as training, access to work place and others. 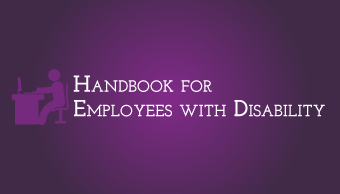 "Customize and use the handbook to orient your employees with disability about your company's equal opportunity policy in various aspects such as training, access to work place and others." 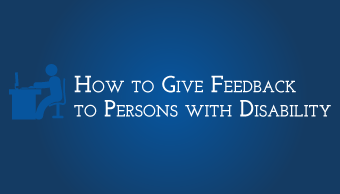 "How to Give Feedback to Persons with Disability"